Every home should be designed with comfort in mind. Comfort includes everything from a functional layout to a suitable temperature. The central heat and air conditioning system is responsible for keeping a home warm in the winter, and cool in the summer. These systems use more energy than any other part of the home. It is important to ensure that your system is functioning properly to keep your home comfortable, without adding any additional cost to your monthly bills. Southland Custom Homes offers are a variety of 120 different house plans to choose from. Each of our floorplans is designed for comfort and offers countless options for customization. Professional installation by our experienced team will ensure that your central heat and air conditioning system is functioning at its best, so you can enjoy your dream home while saving energy. 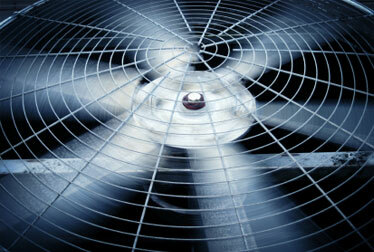 Most heating and air conditioning systems are a split system. This means that they have two parts, an outdoor unit and an indoor coil. The outdoor unit houses the condenser and compressor. It removes moisture and heat from the home. When warm air blows across the condenser coil, the heat is transferred to the refrigerant inside the coil. This cools the air and it is then circulated throughout the home. The indoor coil is usually installed with the furnace to help heat the air. The heating system works similarly to the cooling system using the furnace to supply additional heat. When the air from your home reaches the indoor coil, it goes through a heat exchanger that is warmed by the furnace. As the air heats up, it circulates through the same air ducts as the cooling system. Southland Custom Homes uses Amana or equal systems for energy efficient heating and cooling. Amana began as a producer of home appliances, like the world's first walk-in cooler. Since then, they have expanded with other appliances and high-quality air conditioners and heat pumps. Amana offers a Lifetime Unit Replacement Limited Warranty on the heat exchangers in all gas furnaces. They also offer an extended service protection plan called Asure. This plan covers parts and labor for your Amana products. An efficient heating and cooling system will help save energy, decrease you energy bill and provide you with cleaner air inside your home. As air circulates throughout the home, it travels through filters that remove pollutants, dust and lint. Each of our customizable house plans has a unique air duct system to optimize air flow and maintain a comfortable temperature throughout the home. You can enjoy cleaner air in every room with our superior, energy efficient systems. For those wishing to have a custom home built in Georgia, Southland Custom Homes has the experience necessary to build you a fully custom home in the location of your choice. Southland Custom Homes is one of the most highly-respected on-your-lot builders in Georgia, so no matter where you plan on buying property, we can custom build your home on your dream site. With over 120 floorplan options to choose from and an array of top-of-the-line interior appointments, Southland Custom Homes offers an incredible array of customizable options. In addition to providing a huge selection of plan options, Southland Custom Homes will even work with new homebuyers to alter any of our floorplans so the final result is exactly what the buyer wants. If you are looking for a building company in Georgia that specializes in delivering superior customer satisfaction and homes that are designed and built to last a lifetime, then visit a Southland Custom Homes showroom today. Southland Custom Homes, one of the premier Georgia on-your-land builders, has model showrooms located in Macon (3956 Bloomfield Village Drive, Macon, GA 31206), Dawsonville (98 Bethel Drive, Dawsonville, GA 3053), and Marietta (265 N. Cobb PKWY, Marietta, GA 30062). Stop by or call us today at 1-866-56-BUILD* to see all that Southland has to offer!